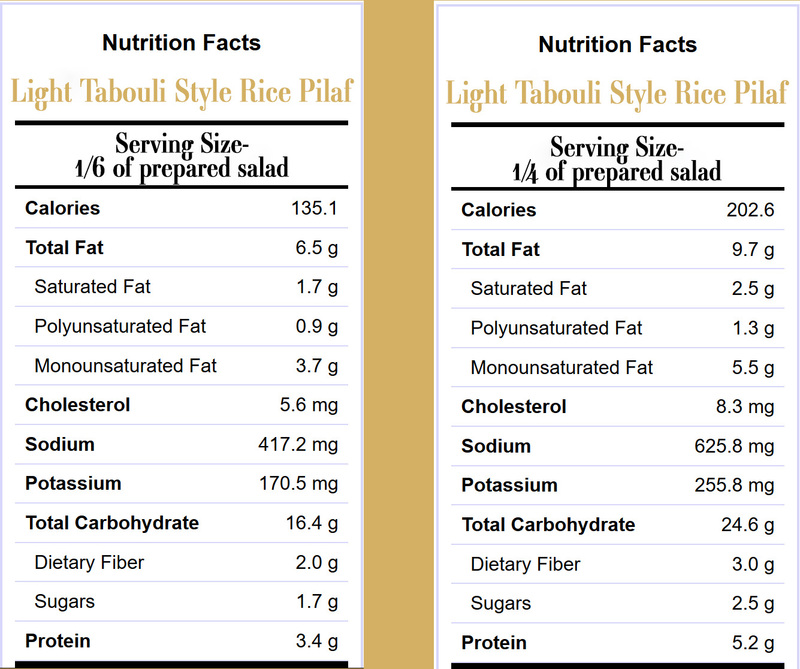 One of the first things I learned how to cook in culinary school was pilaf style rice. We didn’t only learn the steps by which it is made, but also how to properly season it from the beginning. More importantly, we were strictly advised to be patient and just let it finish cooking without disturbing it. (Trust me, sometimes that is very difficult.) Rice is the foundation of so many comfort foods from so many countries, and preparing it is second nature to many cooks. Tabouli is a Middle Eastern side dish made up of Bulgar wheat, parsley, and depending on the region, tomatoes, onions, etc. I first learned to make it when I was a teenager and I had a neighbor that was Lebanese. She would make lamb and rice stuffed grape leaves, thick hummus drizzled with olive oil, and a HUGE bowl of Tabouli for the neighborhood to dig into. Although many restaurants and countries use parsley as their main ingredient, she made the Bulgar wheat (which ends up chewing like an al dente grain of rice) the most voluminous of the ingredients. She then featured tomatoes, cucumbers, and red onions, followed by a seasoning of parsley. I’ve always preferred it that way thanks to her! This pilaf is a little different from a typical pilaf in that the veggies are added after the rice is cooked in order to keep them fresh. However, the rice is pre-seasoned using the vegetable broth, and no added salt. Trust me, this is anything but bland. I also love this because it can be served warm or cold, making it perfect for making ahead or taking to a pot luck where oven space is never available. Dressing this salad in a light and simple lemon & olive oil mixture makes it simple to finish off. However, the feta is what makes it extra special in my mind, while still keeping the salt to a minimum. Because its flowing with chickpeas, there is a good amount of protein in this dish. I like to eat the leftovers (if there are any) for lunch the next day! Cook your rice according to your package directions, using the broth instead of water. When finished cooking, move rice to a large bowl and allow to cool for 10-15 minutes, while you chop up everything else. Combine rice with the cucumber, tomato, and next 5 ingredients (through chickpeas). In a small bowl whisk together the olive oil, lemon, salt and pepper. Pour over the rice mixture and stir to combine. Easy! Serve with my Za’atar Chicken with Tahini Sauce!